This is going to be a five-week series on email tips. You’re spending a lot of time each week crafting emails to your subscribers, but none of that will do you any good if you don’t have a decent delivery rate. If those emails land in your potential customers’ spam folders, you don’t have much of a chance of making a sale or building a relationship with them. Here are three tips that will help ensure your emails make it to your subscribers’ inboxes. Using a reputable auto responder service is the single best thing you can do to improve your chances of avoiding spam folders. Companies like Aweber, Mail Chimp and Get Response work hard at making sure they are white listed with the big Internet Service Providers and email providers like Gmail. Most auto responder companies will list their delivery stats. In addition the good ones will make sure your emails are compliant and keep you out of hot water. Your chances of staying in the main inbox are high when your subscribers regularly open your email. The best way to ensure that – outside of providing great content that your subscribers are looking for – is to set expectations from the beginning. Let your subscribers know early on when and how often they can expect an email from you. You can even use “foreshadowing” in your messages. For example, toward the end of your current broadcast email, mention that they can look for another email from you next Tuesday. Once you’ve set those expectations do what you can to meet them. Yes, things happen every once in a while. In general, though, do your best to keep your promise and email when your readers expect it. Doing this regularly will improve your open rates and thus your overall deliverability. Another good habit is to clean up your list regularly. If subscribers haven’t been opening your emails for the past six month, chances are good they are no longer interested in what you have to offer. Check your auto responder services manual or help files to see how you can go about deleting anyone that hasn’t opened an email from you in the past six months. If that freaks you out, or you have a seasonal business, start by deleting anyone that hasn’t looked at your emails in the past year. 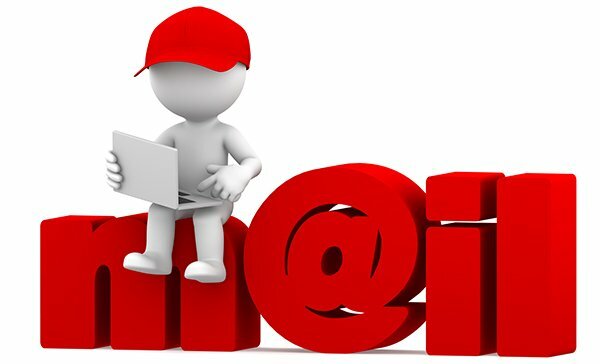 Following these tips and keeping an eye on email deliverability in general will make sure your emails are being read by your subscribers and that’s the point of email marketing, isn’t it? Don't miss the other four tips!